Where you rank on Google can drastically affect your business potential. Here one real estate expert tell you what you may not know. Wishing you could clone yourself? Wishing you even had time to clone yourself? Well, here’s why a virtual assistant may be in order, writes a leading industry player. 2 – You associate with bad people. 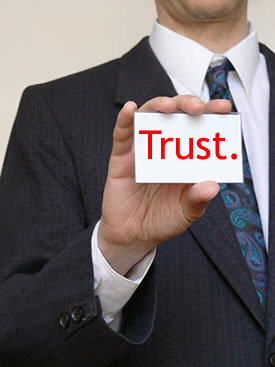 Trust is highly transferable. You will like and trust the associates of someone you already hold in high regard. The reverse happens just as fast. There is one guy in the real estate education business that always asks to do various promotions with me. He’s really nice and he’s always been very supportive of my business. The issue is that he closely associates with a guy who I do not trust at all. His business associate has business practices I dislike and I have heard a lot of bad things about him. So, I say no to his invitations. I can’t get past the fact that he’s so closely associated with someone who has such a bad reputation. Who you hang out with matters a lot. It impacts your income. It influences your thinking. And, it can increase or decrease what other people think of you instantly. Think twice before you partner with people who have a questionable reputation and choose your clients wisely. The more you surround yourself with highly respected and trusted people, the more that will be how people see you too.